By 1968, having gone through several personnel changes, the Yardbirds were a four piece consisting of Jim McCarty on drums, Chris Dreja playing bass guitar, Jimmy Page on lead and rhythm guitar and Keith Relf supplying lead vocals and harmonica. Their family tree is legendary for the inclusion of Eric Clapton and Jeff Beck in their ranks, Relf and McCarty’s forming of Renaissance in the group’s wake, and Page’s next project, Led Zeppelin, carried on with manager Peter Grant. 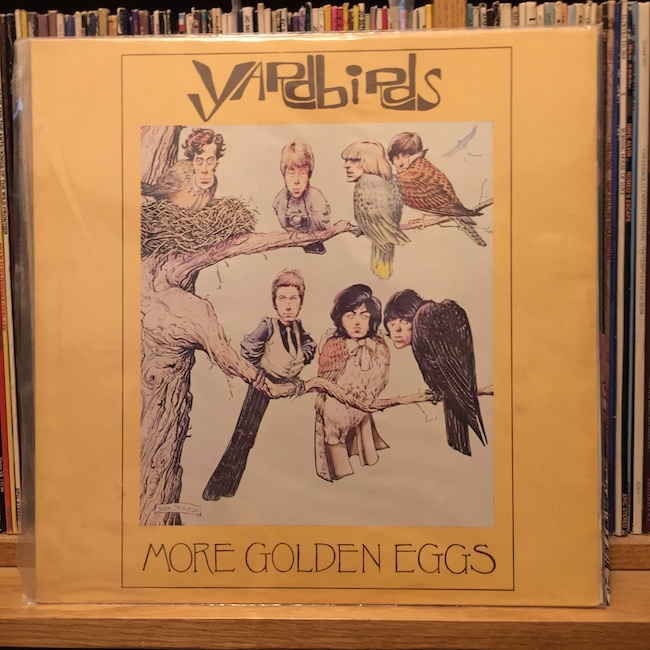 Though The Yardbirds suffered unfortunate pairings with producers insensitive to their style, they did manage to rack up an impressive run of 45 rpm’s. The Graham Goldman songs “For Your Love” and “Heart Full of Soul” with their descending minor chord progressions and changing time signatures, were Garage Rock blueprints which sounded great on the radio. They also marked the departure of Clapton, who left for the more purist blues territory of John Mayall’s Bluesbreakers, but introduced us to Jeff Beck, who forged an unforgettable riff for the latter tune. “Over, Under, Sideways, Down,” “You’re a Better Man Than I,” and especially “Shapes of Things” and “Happenings Ten Years Time Ago,” are examples of how the band was not only of their time, but pushing far ahead. Clearly in the vanguard of experimental psychedelic music, and progenitors of what became heavy metal, the Yardbirds’ confusing & often cobbled together discography hampered establishing the band at the forefront of popular music’s then quickly mutating styles. Their catalog varied wildly on either side of the Atlantic. 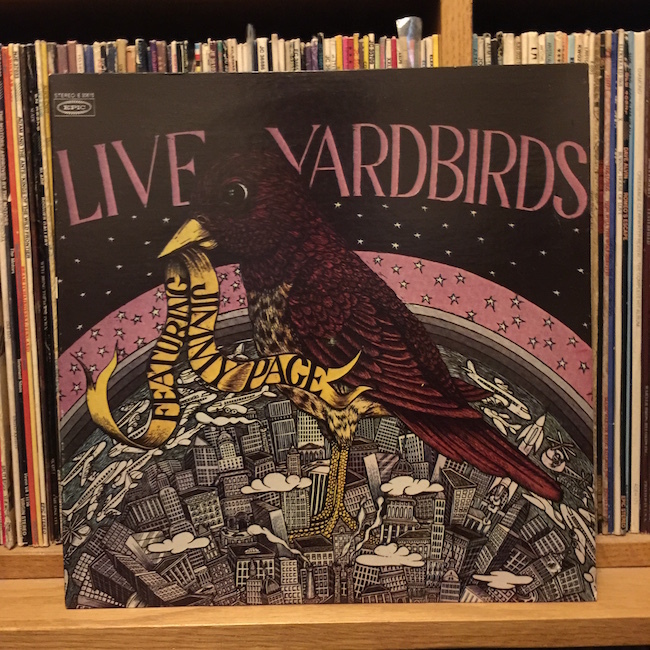 For instance Epic Records’ Having a Rave up with The Yardbirds includes Clapton era live tracks from Five Live Yardbirds, an album never released in the US, with then current hits singles that only appeared as 45 RPM’s in the UK. In fact, as late as 1974, collectors had to turn to bootlegs like Trademark of Quality’s Golden Eggs and More Golden Eggs, to reconcile the disparities. Fan publications like Ira Robbins’ anglo-centric zine Trans Oceanic Trouser Press helped also. Robbins even reprinted Ben Richardson’s The Complete Yardbirds article as a standalone, The Trouser Press Press #1. In the days before Wikipedia those 7 tightly typed pages went a long way to explain The Yardbirds’ “three eras” and their brain twisting discography. The Anderson Theater show has a somewhat infamous history. It was released as the contract completer Live Yardbirds, Featuring Jimmy Page by Epic Records against the wishes of the band, who had it issues with the quality of the recording, as well as the post production tampering. To juice up the aural excitement of the live set the powers that be decided to add audience applause and shouts from other sources, much like a television sitcom with a laugh track. Those superimposed exclamations have been rumored, but never proved, to include crowd cheers from a bullfight! Needless to say the group unanimously requested it be pulled from the shelves upon its release in 1971. Also needless to say copies escaped not only during its short sales window, but most likely through the “cut out” bins later on. The studio sketches are in turn tracks recorded by the band at Columbia Studios in New York City between April 3-5, 1968. 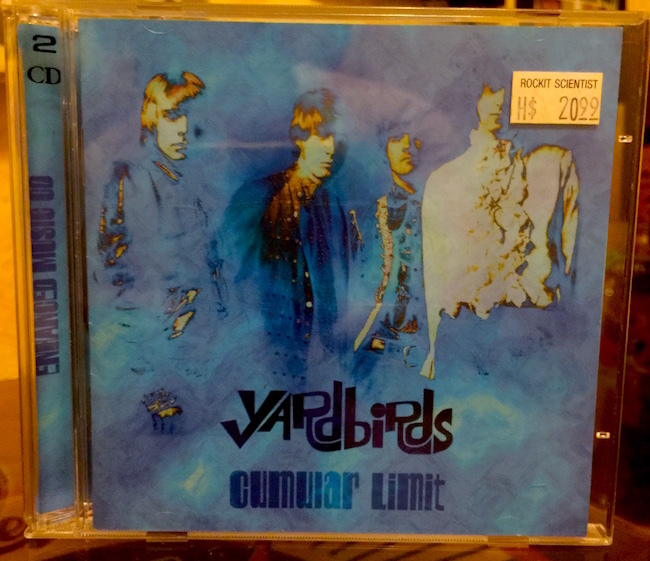 They represent the Yardbirds last creative output. Most of those recordings saw a brief release around 2000 as part of might be termed a “legal bootleg” called Cumular Limit. That CD was sanctioned by several band members, but ultimately pulled by Jimmy Page. Those recordings were reportedly sourced from a roughly mixed cassette tape. 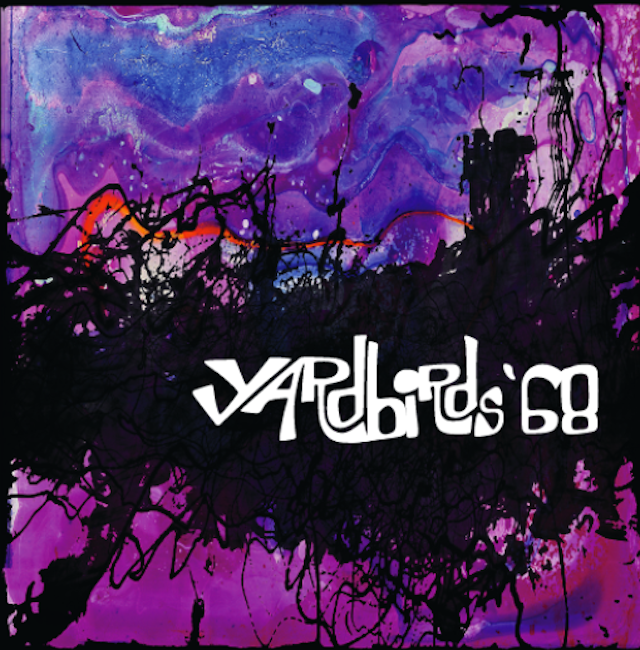 Yardbirds ’68 will offer the material remixed from the original multi-track tapes, so this should be a massive upgrade. Finally having quality mixes of these tracks, as well as the cleaned up Anderson Theater show, will be both a treat and a historical landmark for fans. Tracks like “Avron Knows” reveal the band continuing to experiment and getting sonically heavier, while the Garnet Mimms cover (“My Baby”) also proves them staying true to their rhythm and blues roots. “Spanish Blood” is a McCarty/Page collaboration with the drummer intoning a monolog of the American South West over the guitarists’ acoustic flamenco flourishes. In the liner notes that accompany “Cumular Limit” McCarty relates this tune’s inspiration to “Ringo,” a chart hit for actor Lorne Greene, who played Ben Cartwright (“Pa”) on the 60’s TV hit Bonanza. Additionally and quite sensibly some of this material has a direct link to the first several LZ album’s. “Dazed and Confused” on the live album shows the epic arrangement for that song pretty well set before its appearance on LZ1. Then there is studio recording “Knowing That I’m Losing You,” which will appear for the first time on Yardbirds ’68. The song ultimately became “Tangerine” on Led Zeppelin 3, but issue’s over the lineage of its lyrical content will limit it’s presentation to an instrumental only on ’68. I’ll miss Keith Relf’s vocal but Page’s pedal steel work is worth the price of admission on this one. A preorder was a no-brainer for me. I have long been fascinated with this period of the Yardbirds’ history. It was also a nice excuse to go back and listen to some tunes, both classic and obscure from my album and CD collection. 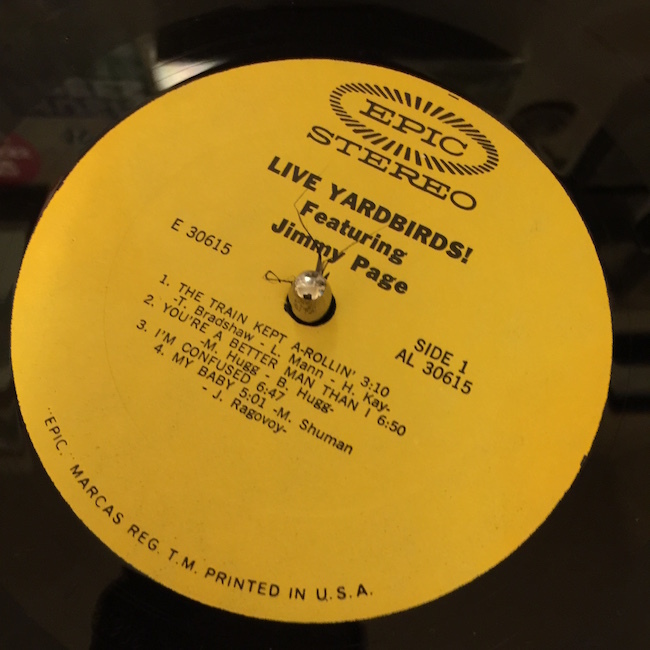 I feel lucky to have collected Yardbirds Live featuring Jimmy Page. Warts and all, for 30 years prior to the release of the band’s BBC sessions, and the proliferation of vintage TV appearances on YouTube, it was the only place to hear the last incarnation of the band on stage. Pulling that album off the shelf also reacquainted me with the artwork of James Grashow, who rendered the woodcut cover. 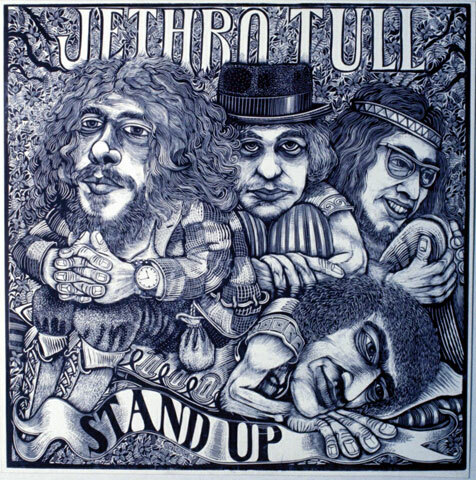 Grashow is the creator of one of my favorite LP covers, Jethro Tull’s Stand Up, which depicts the band members in wonderfully satirical caricature. The artist has continued his work in wood cut, and has expanded through the years to create in 3d with another wood byproduct, corrugated board. Check his website for a look at his unique pieces.